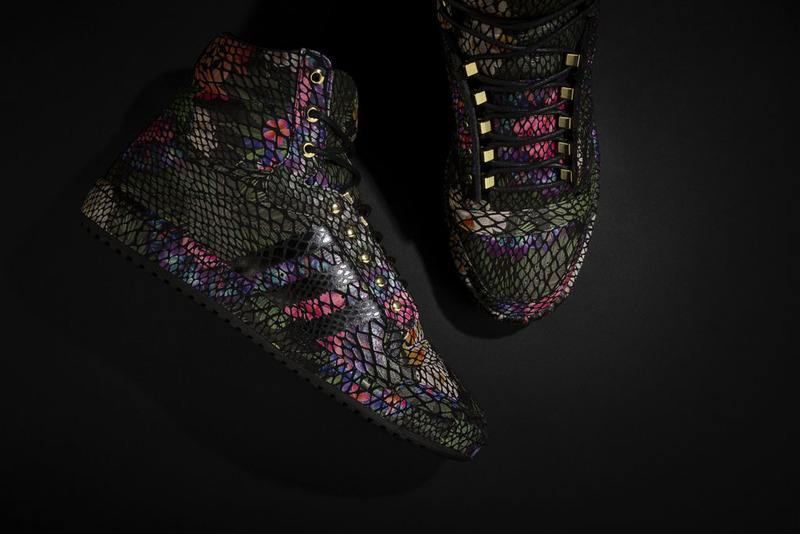 A unique, but familiar twist on the classic silhouette. 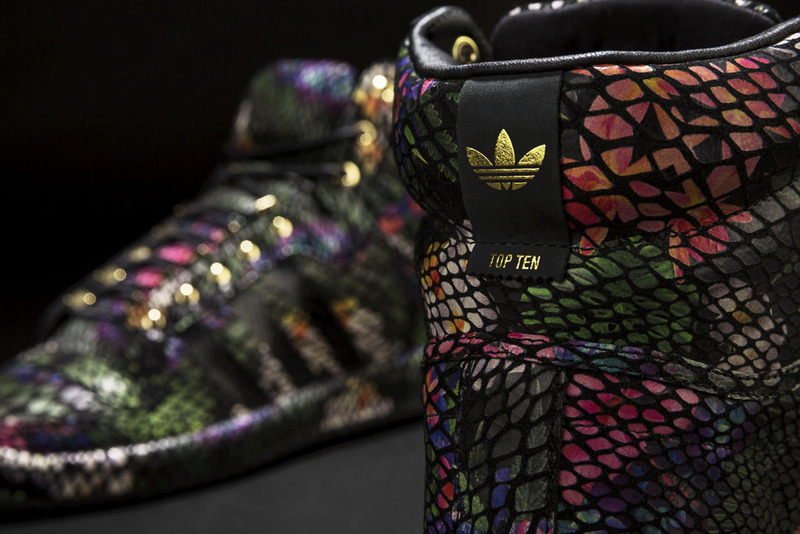 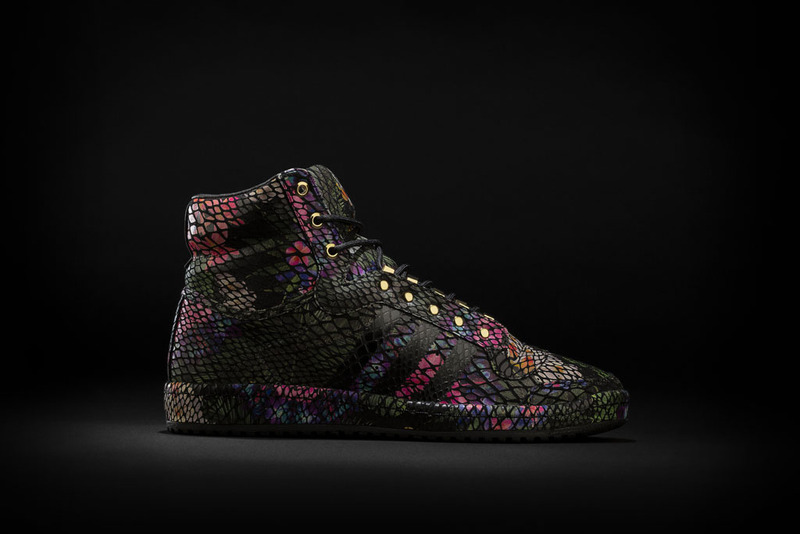 Borrowing cues from Big Sean’s Metro Attitude, adidas Originals presents the ‘Floral’ Top Ten Hi. 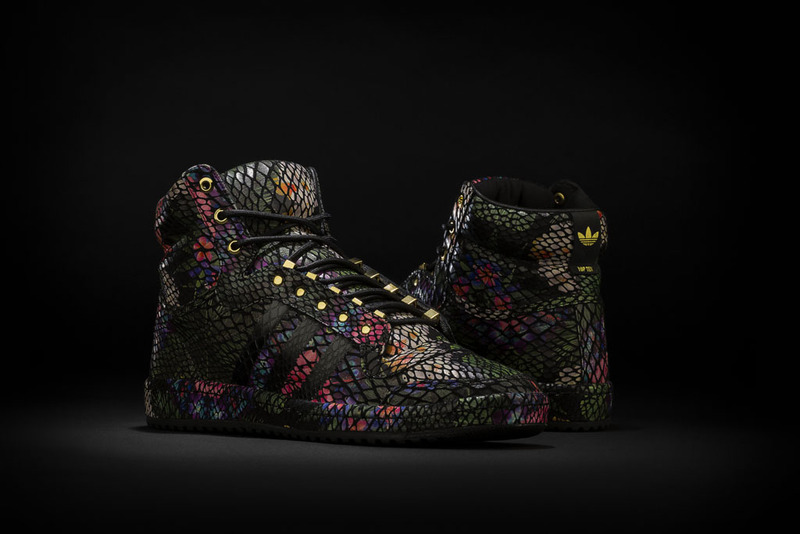 The 70s-era high-top is revamped with an all-over snakeskin floral print on the upper and midsole. 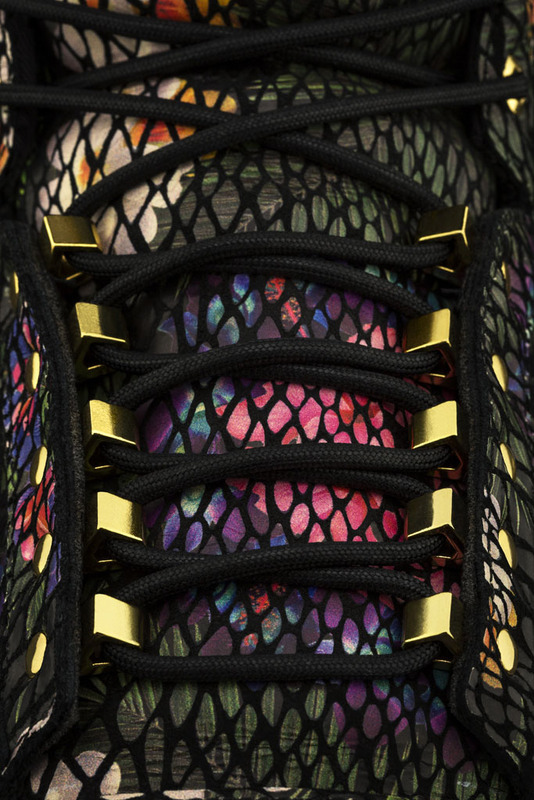 Metallic gold hardware and branding bring a little luxury to the design. 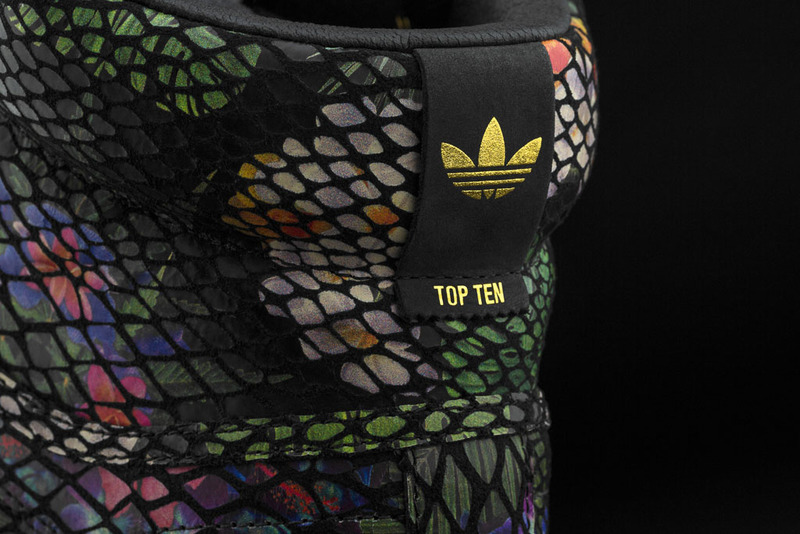 Tagged at $150, the ‘Floral’ Top Ten Hi is available at select stateside adidas Originals retailers.